The caramel cards of the first two decades of the twentieth century are an interesting and complex part of the pre-war era of collectibles. Caramel cards, also known as E-cards, were issued one per pack of caramel candies. Unlike tobacco cards, these cards were mostly commonly handled by children and, therefore, it can be difficult to find them in decent condition. The caramel cards changed format only slightly in the 15 or so years that they were produced. Most of these cards measured 1 1/2 by 2 3/4" and had a framed portrait or basic action shot on the front and either a checklist, advertisement, or summary of the set on the back. The first E cards were issued in 1903 by the Breisch-Williams Company and labeled as E107. The E107 cards are now quite difficult to find, especially in nice condition. These cards had no checklist or advertisement on the back, but some cards had an overprint or stamp on the back that stated the manufacturer. The last caramel cards made in the 1910s were the E106 American Caramel cards, produced in 1915. They feature an American Caramel ad as well as a short explanation of the set. One particularly interesting characteristic of the E cards is the sharing of artwork. Many of the caramel cards look suspiciously similar. The players may be in the same poses, have the same coloring, or the checklist on the backs of two different sets may look very similar. For example, the E92 cards manufactured by three different companies share artwork with the E101, E102, and the E106 sets. The E90-2 American Caramel checklist is identical to the Nadja Caramel E104-2 checklist. The shared artwork makes these sets especially fun to compare. Currently, we have representatives from several different caramel card sets. The E90 American Caramel Company, located in Philadelphia, issued these three separate sets over a period of three years. The E90-1 cards were made for players on all of the teams and make up the majority of the E90 set with 118 cards total. The writing on the front is in black ink. The E90-2 set features the team that won the World Series in 1909, Pittsburgh Pirates. The player's name is written in blue ink and a position is not given, distinguishing it from the other two sets. There are 11 cards total in this set. The E90-3 set was a regional release of 20 cards, featuring only White Sox and Cubs, who won the NL Pennant in 1910. The distinguishing feature of this set is the phrase "All the Star Players" at the top of the back. 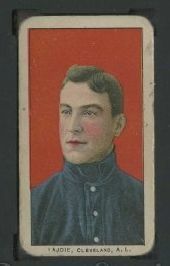 The 1910 E96 Philadelphia Caramels cards are a second series to the E95 set, which was released in 1909. The E95 and E96 cards are the singular example of a multi-series set of caramel cards. The E96 set consists of 30 cards and includes a checklist in red ink on the back of each card. The players are grouped by team, then alphabetically by last name. The E101 and E102 sets represent an interesting phenomenon that is somewhat common in caramel cards. These sets are called "anonymous" because the manufacturer is unknown. Interestingly, the cards have a space on the back that may have been intended for a candy store stamp. These cards were probably manufactured with the intention of promoting the individual stores instead of the company that issued them. 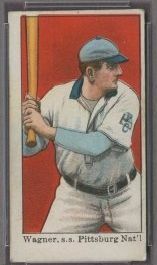 The E101 set consists of 50 cards that were produced in 1909. It features some of the most well-known players of the time period. The E102 set consists of 25 cards, but has variations for at least 4 cards. There is also some discrepancy as to whether the E102 Ty Cobb is his rookie card or if that honor belongs to a set of strip cards produced around the same time. The E102 cards have a checklist printed on the back, which sets it apart from the E101 set, although it is believed that both sets were produced in 1909. Dean's Cards has listed hundreds of E-Cards online and ready to buy at DeansCards.com In the decade that we have been in business, we have never had this many of cards available for purchase. Caramel cards are some of the most interesting 20th century cards ever produced, particularly because so many are still being discovered. The more these cards are discussed, the more errors, variations, and additional cards are uncovered.